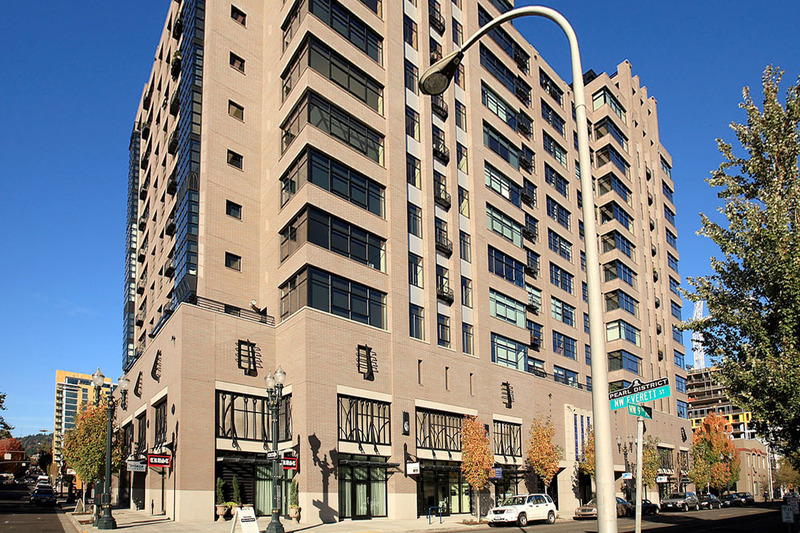 Exciting Pearl District Location in one of its most premier buildings. Spacious one bedroom, one bathroom loft. Light and bright unit with open and contemporary floor plan with 1082 square feet; wall of windows with and high ceilings. Gleaming birch hardwood floors, and travertine bath floors. Cherry cabinets with slab granite counter-tops, premium stainless steel appliances, full size laundry set. Central air conditioning. Open and aerie western view to Portland's West Hills. Full concierge service. One reserved underground parking space. Steps to Streetcar and Lightrail transit systems. Resident responsible for HOA move-in and move-out fees.